After almost three years at EY, I (Kyle) finally said goodbye to the consulting world this holdiay season. Thinking back to when I first started the job back in Syracuse, I knew that there would be an end at some point after we moved for residency, but we weren't exactly sure when that would be. I thought that a job change would be a little farther down the road, but sometimes everything just lines up and it becomes the right time. It was definitely not an easy decision to leave the firm, especially with all of the friends and good experiences I had to EY. All of the travel started to add up though, and from almost my first day I had wanted to get off the road. So when the opportunity arose to take a new position that would let me work locally, it felt like the perfect situation. My new office is literally overlooking my former employers. 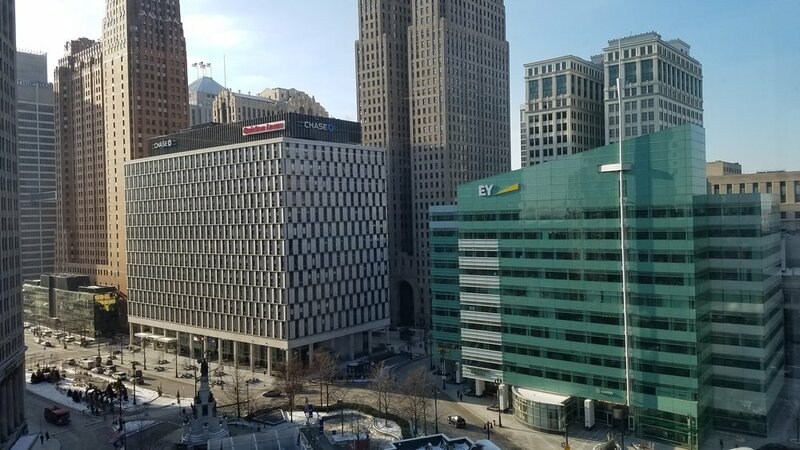 Starting last week I am now working for Rock Ventures, the holding company for Dan Gilbert's family of companies, which includes Quicken Loans, the Cavaliers, and a bunch of startups and buildings. I think that means LeBron and I are coworkers and future best friends. My official role is as data scientist, which I guess means doing a lot of stuff in Excel. Commuting to downtown Detroit has been an interesting change, but it does beat 7 am flights and constant delays. I like the people I work with and the job so far, and it's really nice to be at home every night, so I think I made the right decision! 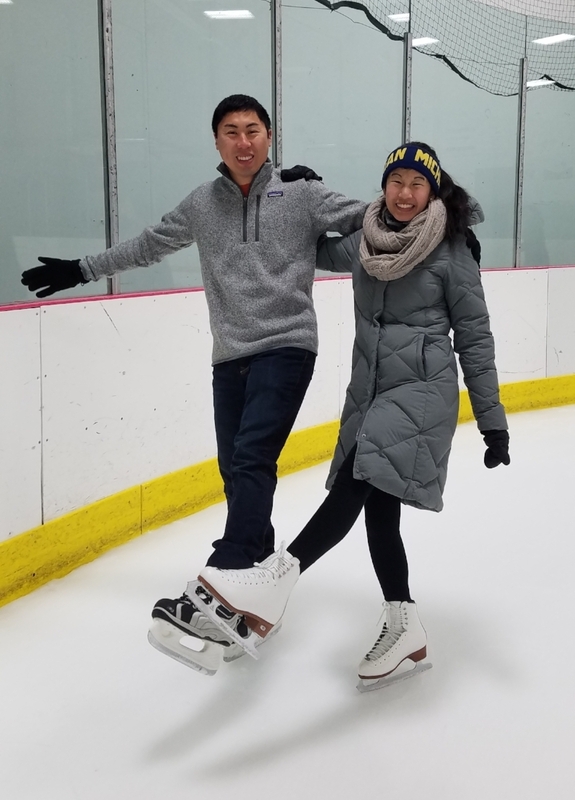 We spent Christmas in Grand Rapids with Kyle's family and enjoyed our time relaxing, going skating, and hanging out around the house. New Year's was a little busier with Olivia in the hospital, but she did make it home by 11:45pm on New Year's Eve! We also celebrated three and a half years of marriage recently! Olivia is thrilled to no longer be a consulting wife and to have me home every night and be able to spend time together :) However, I will still be a residency husband, meaning our schedules are still a little unpredictable. Intern year is already halfway over though and we continue to make the most of the time we have outside of work. Hopefully we will write about these things on the blog!